So much yarn, so little time. 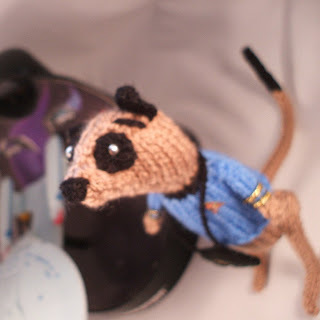 : My Meerkats are going viral! 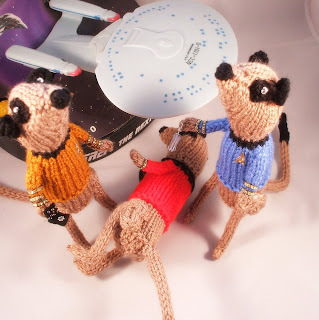 I've been wandering around on the net and they're boldly going everywhere! 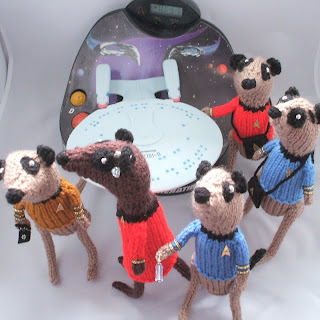 Some of the bloggers have a few details wrong - my Trekkie/Trekker/meerkats are currently £20 each from www.niftyknits.folksy.com or $30 from www.niftyknits.etsy.com Live long and prosper! 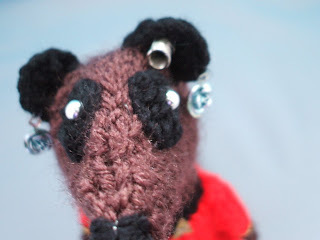 Thanks for the meerkat love - I know I've missed some of the bloggers who've featured them, so do please leave me a link if you're one of them! It is good to see them boldly going and crossing new frontiers. 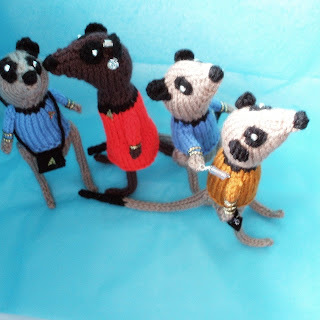 Star Trek meerkats are the best! I have tagged you over at crystal velvet weddings. Come over to play! They are amazing!! So cute! Holy cow! Your Meerkats are all over the world. Must make you feel like a proud creator. I'm thinking your creativity has boldly gone where none have gone before! 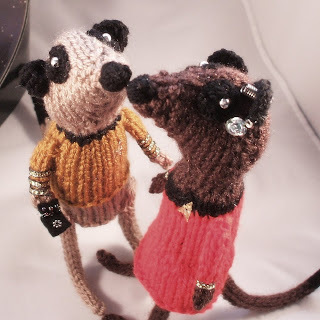 Your Star Trek meerkats are adorable and clever. You've hit your stride with those, I think! Thought I had you on my blog roll but see I didn't. I added you -- finally. You missed out this Nifty!! 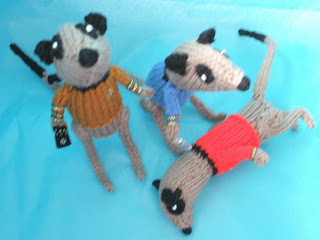 Well done Nifty - we love your meerkats!!! And it seems the rest of the world does too! Am so pleased for you!! Yay! Well done Nifty :D Very pleased for you!!! Just doing the work they were intended to do, and getting the fame they deserve! you go, nifty!